Colorful Book Reviews – The best children's (and adult) books featuring every kind of person. Board Book Reviews: What Next? Trying to decide the next course of action for my board book review series. Way back in early 2017 (actually end of 2016 but the first post went up in 2017), I started reviewing diverse board books. We had little kids again, and with my newfound passion for diverse literature, I wanted to build a collection that was diverse from the very beginning and do better by our youngest children. My first priority was books with black children or African-American authors, but it was also important to me that our board books represented the world around us, so pretty soon I was collecting more books so that other groups were represented as well. Our daily life does not, to my knowledge, include Native Americans, so I wanted to be sure to represent #ownvoices indigenous board books. A few people have also given us diverse books (either from our wish list or just because they’re awesome). I also wanted to include both fiction and nonfiction, and have been surprised and very pleased with the amount of diverse nonfiction I was able to find. 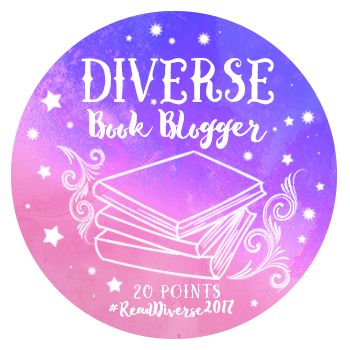 Author colorfulbookreviewsPosted on March 21, 2019 February 23, 2019 Categories DigressionsTags board book, diverse books1 Comment on Board Book Reviews: What Next? This book about fish families also promotes inclusive lessons about human families. Mister Seahorse by Eric Carle. Philomel, Penguin Young Readers, New York, 2004. AR level: 2.5 (worth 0.5 points) . Mister Seahorse caries his eggs until the time comes for them to hatch. Incidents in the Life of a Slave Girl: Written by Herself by Harriet Jacobs, edited by Lisa Barsky. The Townsend Library, Townsend Press, New Jersey, 2004 (first pub. 1861). Slave narrative, 152 pages including editor’s afterword. AR Level: 7.1 (worth 14.0 points) . NOTE: I read a printed book which had been edited and contained additional back matter. Project Gutenberg has a free ebook version of the original text available. The autobiography of a young woman born into slavery in 1813. This book is remarkable, and I’m only surprised I didn’t read it sooner! But let me write a review anyway in case you need more convincing and haven’t clicked the link above to read it already. So many aspects of Jacob’s life are typical of her time, place, and station in life, but she herself is not very typical. Our 35th board book was enjoyable, but would read better in a larger format. Little Simon, Simon & Schuster, New York, 2015, orig. pub. 2005. Picture book converted to board book format, 32 pages. The true story of two male chinstrap penguins at the Central Park Zoo who became a family, and their adopted daughter Tango. This is a picture book converted to a board book. Such conversions are always tricky. Some cut valuable information and lose the meaning of the story or the grace of the illustrations. Others simply shrink down the size of the book and create a hybrid that might not work for either the original picture book audience or the babies and toddlers that typically use board books.